A campers favourite the versatile Nain Low Table. Nain Low Table is a ligtweight small and low multipurpose table with a neat new table top design. It is easy to carry and opens and folds in seconds. 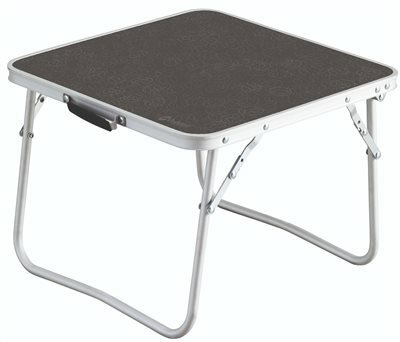 Stable when erected, smooth surface top - easily wiped, sturdy legs. Ideal!